Is this something that might be possible to accomplish? There is a pull request waiting to be added to the miio library (https://github.com/aholstenson/miio/pull/133) which adds this functionality. The author of the miio library does not seem to be very active anymore though. Perhaps when I have some time I can look into merging this pull request in a forked version of the miio library. Is it possible that the "Developer Mode" buton it not available anymore in the new Yeelight App? I already have some working yeelights but now i tried to add a led strip. Strip is working fine in the yeelight app but not found by the Homey app. Now i can't seem to find the option to enable LAN/Developer mode in the yeelight app. Its still there. It's under the extra settings of a device. I believe the menu icon looks like a triangle with a stripe below. That holds the LAN mode option where you can enable it. Is this this desk lamp? How can I add this lamp as device? It is not showed in the add device section of the app. When I use the Philips Eyecare lamp I get errors. Did you enable lan mode for the desk lamp? And you can report errors on github. I don't own all these devices myself and depend on feedback to make things work. I think he means that the desk lamp is not in the devices. That did the trick. Enabled LAN mode from the Yeelight app. This is nog possible from the Xiaomi Home app for as far as I can see. You don't need the token by the way. @gijsje : Put the lamp in LAN mode en choose Yeelights. It's a great lamp. One of the best Xiaomi products on the market in my opinion. Ah... Sorry my bad, wrong topic. I'll copy it to the right topic. I´ve read all I can find on the web right now, but I can not get the token out of my new Xiaomi S50 cleaner. You need to install an older Mi Home app. The last couple of versions dont hold the token in the database anymore. I'll update the readme. I'm using version 5.0.19 for this myself. I’ve been using the app with my (v2) roborock vacuum and it’s working great in flows so far. One question, does the vacuum report it’s status to homey? Ive set some motion sensor to ignore if the roborock is cleaning and it works great if the roborock vacuum is started by a flow or within homey but if I use the Mihome app, I notice that in homey it still shows the vacuum as docked/off. The app should update the device status periodically based on the polling time set in the device settings. So it could take at least the amount of seconds set as polling time before it's visible. 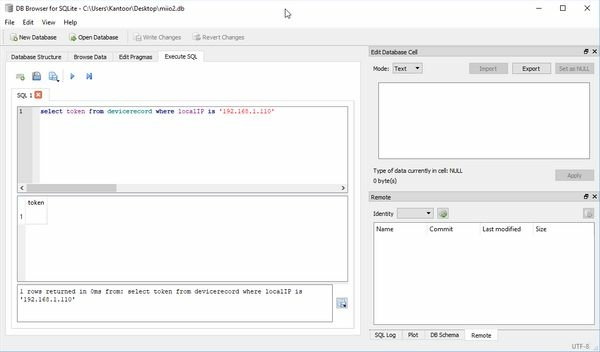 Next to that there is an issue with connection to devices in the miio library (which is used in my app) resulting in connection time outs. So it could actually take some more time for the status to update. If it never updates i'm not sure why that happens. UPDATE: Update docs, the latest version of the Mi Home smartpone app dont hold the token in the database anymore. 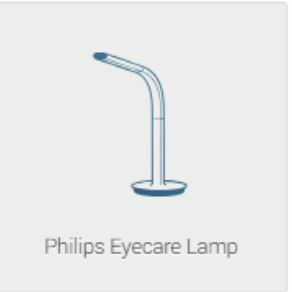 I have used 'Packetsender' to retrieve the token of the Philips Eyecare Lamp. It shows a long string with ASCI and another set with HEX codes, both longer than 32 characters. Could some kind soul please help me with this. The Yeelight App does not show the Philips light. I tried various servers. Install an older version of the Xiaomi Mi Home smartphone app and use the method 3 to retrieve the token described in the following link. Thanks! Will try tomorrow / coming weekend and report back! So, I am almost there! What am I missing? Using the xiaomi android app it has no issues, always works fine, so the wifi connection seems fine.